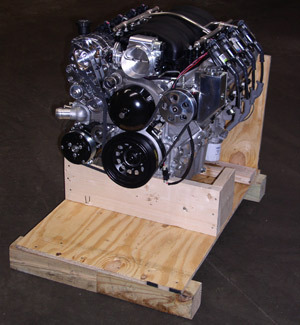 All engines sold in United States will be shipped via truck freight unless otherwise stated. We can ship to business or residential addresses and can provide a lift gate service if needed. We also offer air freight to anywhere in the world and ship outside the US on a weekly basis. If you are in need of a quote please call our sales dept at 1-800-591-9171 ext 1. 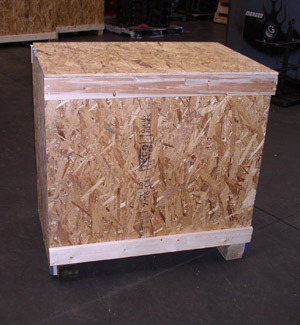 Each engine is properly bagged, shrink wrapped and crated in a custom wooden crate as seen in the pictures below. All small box of parts will be shipped via UPS ground within a 24 hour timeframe. All engine parts may be returned within 30 days of purchase and must be unused. Customers will be required to pay for the return shipping and must obtain an RMA number from us before returning the product. All engine sales are final and cannot be returned. All engine sales are final. Parts may be returned within 30 days of purchase and must be unused.